Yes, you can have your audio updated at any time. If your order was a small on hold package, it is simple to order a new package. However, if you plan to have regular updates or have ordered a large on hold package you should consider purchasing our 'Project Backup' to save you money on updates. 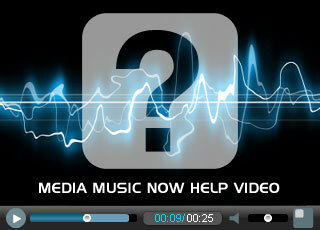 Once we have completed your audio we offer you the chance to purchase a project back up. We typically can only keep your project files for a couple of months. Many of our clients have small or one-off on-hold productions created with no future updates required. As a result, we end up storing huge amounts of audio / music data that will never be used in the future. For this reason, we have to regularly purge surplus content to make storage available for new / existing projects. Although we keep all files for a period of time, there is no guarantee that your project will be on our system if you come back to us for updates (unless you purchase a project backup). You should consider a backup if you wish to update your telephone audio at any time in the future. Or you may want us to keep a backup as a safety measure in case you lose your copy as a result of a hardware failure or any other reason. How is the backup different to the audio you send? You receive a copy of the Master File(s), but our source files contain the individual voice and music elements as separate layers. These high quality source files are very large and include our proprietary software settings. The graphic below shows how projects are made up. You can see that the voice, music and master tracks are all separate. They can be processed and altered as needed. Our project backup means that we store your on hold source files in cloud storage. We can then access them anytime to tweak / update any element of it without having to redo the whole package. How much could I save on updates if I have a backup? Well, that depends on how much needs updating and how big the original package was. However, as an example let’s assume you want to update it 4 times a year to cover seasonal promotions. Redoing the whole 500 word package currently costs £239*, so doing this 4 times a year would cost £956*. Compared to the cost of redoing the whole package 4 times (£956*) this is a saving of £540* per year. This example is to give you an idea of how much you could save with the backup. If you need help in deciding we will be happy to advise you. Or you may just want us to keep a backup as a safety measure in case you lose your copy as a result of a hardware failure or any other reason. How much does the backup cost? The project backup is £24 GBP +VAT per year. You can cancel anytime and the backup is a flat fee regardless of the size of your project.